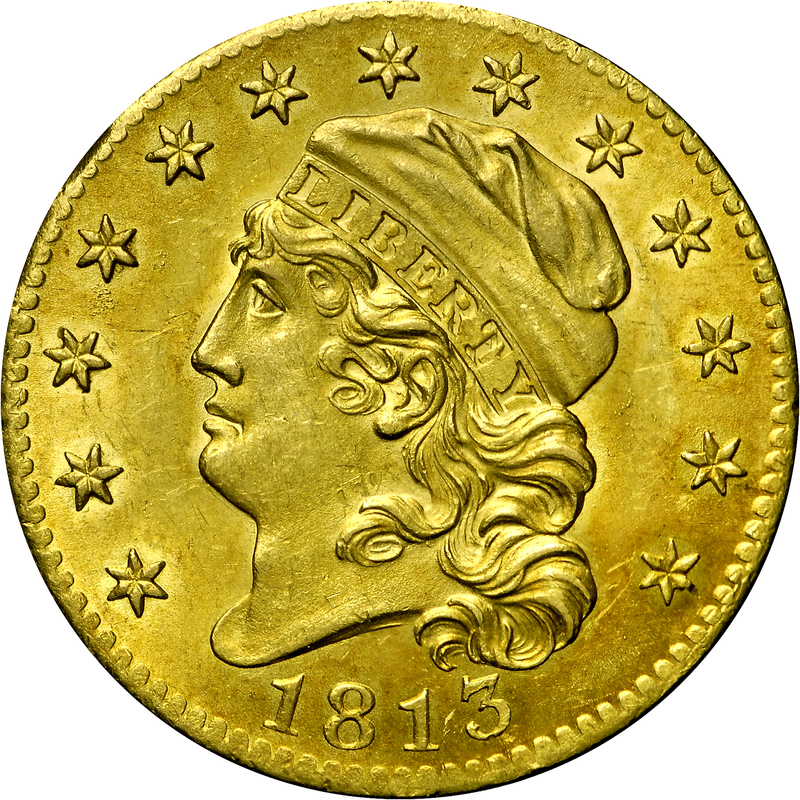 John Reich joined the Mint’s engraving staff in April 1807 and remained until 1817. 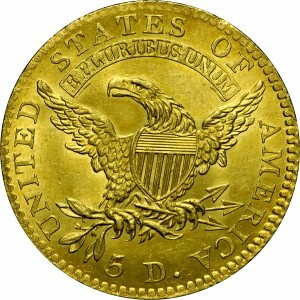 This new design is a modification of his earlier Capped Bust design introduced on 1807 half eagles. Issues dated 1813 through 1815 are clearly the work of Reich, with his signature scalloped star. Note the indentation on the side of the southeast ray of the lower right star. 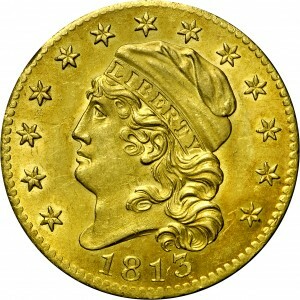 This same feature may be seen on all three obverse dies, dated 1813, 1814/3, and 1815. From Stack's sale of April 1978, Lot 848. "Obverse: New Design. No drapery. Wide date. Die center punch lump between curl and ear. Lump at star 2, lowest point. Clash within LIBERTY. Die rust patches between stars 3 and 4; between cap and star 12. Lapped. Reverse: Modified devices; motto letters tall, shield more nearly symmetrical, right wing bone more angulated than that of 1812. No tongue. S(T) centered over space between E P. 5 repunched over a different 5 punch. D tilted left relative to 5. Period even with base of D. Clash in shield. Lapped."